The field of electric cars is gradually growing more diverse, but so far no automaker has built an electric pickup truck and put it on sale. Now there is one, although it probably won't fit most people's image of a rough, tough truck. 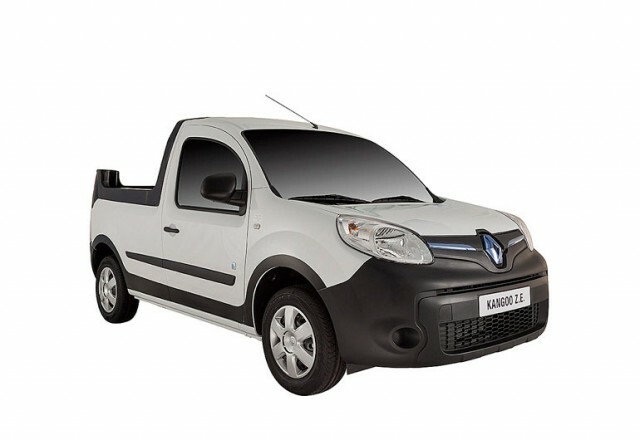 A French company called Kollé (via Inside EVs) is offering a conversion for the Renault Kangoo Z.E. 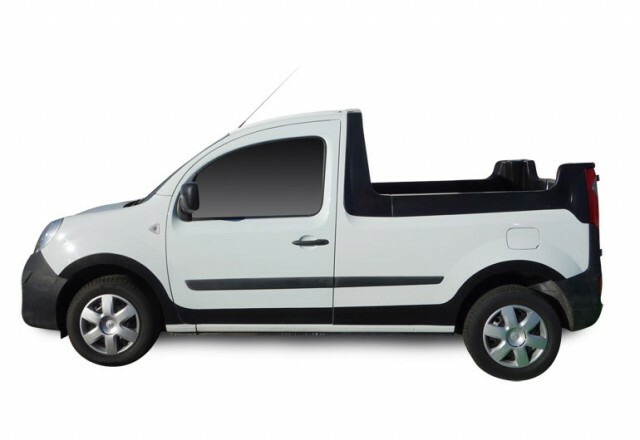 that transforms this small electric delivery van into a pickup. While the finished product is a long way from, say, a 2015 Ford F-150, the Kangoo does meet the basic requirement of providing an open bed for hauling stuff. Dwarfed even by the mid-size 2015 Chevrolet Colorado, the Kangoo is a throwback to the days when small trucks really were small. It seems to channel a bit of the old Volkswagen Rabbit pickup to us. That this vehicle used to be a van is pretty obvious from the tall bed sides and the stubs of rear posts left behind to accommodate the high-mounted taillights. The powertrain consists of a 44-kilowatt (59-horsepower) electric motor that also produces 167 pound-feet of torque, and a 22-kilowatt-hour lithium-ion battery pack, just like the stock Kangoo Z.E. (for zero emissions). This pickup will presumably come close to the stock van's top speed of 81 mph, and Kollé claims a payload capacity of around 1,400 pounds. Estimated range remains unchanged at 106 miles on the rather optimistic European testing cycle. Starting price for the conversion is 14,500 euros, or about $16,400 at current exchange rates. 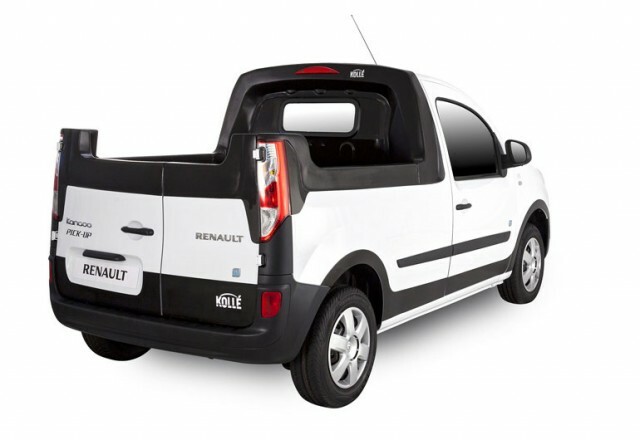 Kollé will also add a pickup bed to gasoline or diesel versions of the Kangoo. However, since Renault doesn't sell cars in the U.S. at all, the little electric truck won't be available here either. That's also the case, thus far, with the slightly larger Nissan e-NV200 electric van built by Renault's corporate partner in the 16-year-old Renault-Nissan Alliance. In fact, the only serious effort to sell an electric pickup truck in the U.S. has been made by Via Motors--which markets plug-in hybrid conversions for the full-size Chevrolet Silverado, as well as General Motors full-size vans. For buyers truly interested in efficiency, though, a smaller electric truck would seem to make sense. And, hey: While it may lack in macho appeal, it would clearly triumph in ease of parking.